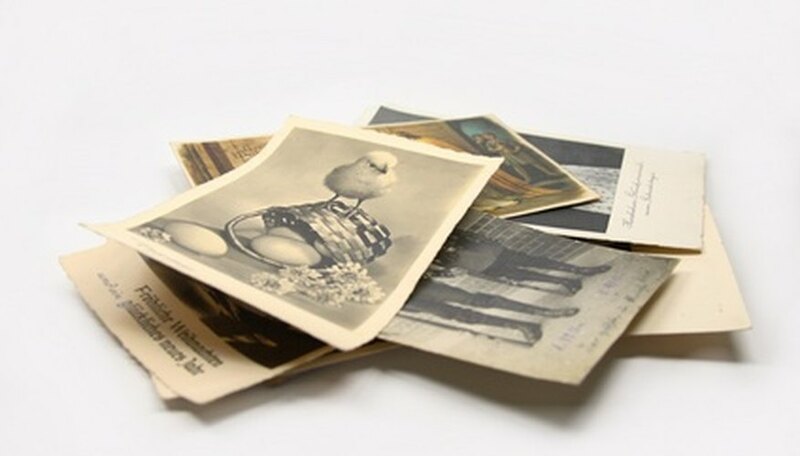 A box full of antique postcards in your attic or some interesting yard sale finds can mean a profitable business. Antique postcards are often used in craft projects or simply collected for their artistic value. Selling antique postcards may also lead you to starting a full-fledged art or antiques business, once you discover items and determine their worth. Research postcards. The key to making a profit with antique postcards is finding out how much they&#039;re worth. A number of books on postcards are available to help you with your research. Look at online auction websites to see what kind of postcards are selling. Find your postcards. If you don&#039;t have a collection of your own, start looking for antique postcards at thrift stores and yard sales. You can also place an ad in the local newspaper or classified ads website offering to purchase postcards others may have stored. Sort your postcards. Once you have a large amount. Sort the postcards into stacks that you would sell all together, called a &quot;lot.&quot; You might sell a lot of 10 postcards all with a Christmas theme or by a certain artist. Some cards will sell individually, so find these cards, place them in a zip-style bag or envelope and keep them separate from others. Sell your postcards. Determine if you would rather sell your cards at craft fairs or flea markets, or if you would like to do your sales online. Flea markets are good venues because buyers will be able to look through your selection. However, online, you don&#039;t have to worry about paying for a table at a fair and you can offer the cards for sale without having to go anywhere. Your cards are always available to see online and you don&#039;t have to be home or awake to make the sale. Ship your postcards. Make sure, if you are shipping your cards to customers, they get to their destination safely. Place cardboard pieces slightly larger than the postcards on both sides of the postcards you are mailing. Cereal boxes cut to size work well for this purpose. Tape the cardboard to the cardboard to secure them--not to the postcards. Place the postcards in a shipping box or padded envelope mailer and ship. Always get a tracking number when shipping to customers.